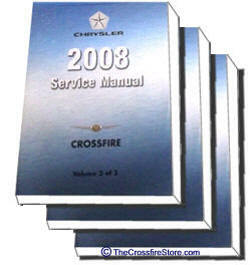 Genuine Factory Original Service Manual for Chrysler Crossfire only year stated above. 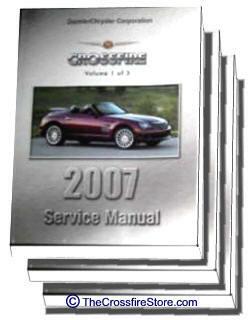 Item includes one Brand New factory Service manual book. 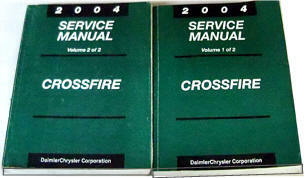 Original Factory Service Manual set. Used and in good condition. Please call for current price and availability. 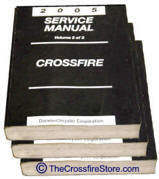 New Reprint of original factory manual. 450 pages black and white on 8.5" x 11" page spiral bound. 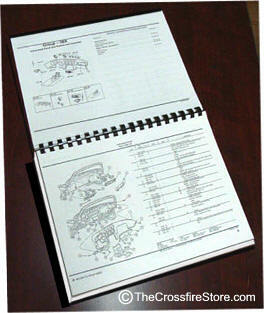 Includes hundreds of parts diagrams with part numbers labeled with factory part numbers. 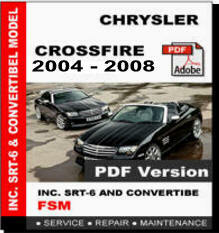 New Reprint of original factory manual. 445 pages black and white on 8.5" x 11" page spiral bound. New Reprint of original factory manual. 451 pages black and white on 8.5" x 11" page spiral bound. 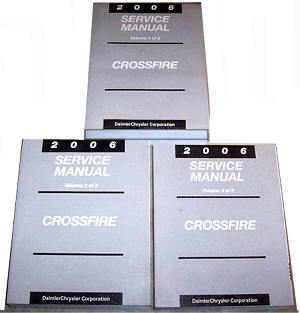 New Reprint of original factory manual. 386 pages black and white on 8.5" x 11" page spiral bound.